SF State’s first student union held its opening event that featured three Chilean student activists to speak about social activism in Chile as apart of their national speaking tour Friday at The Richard Oakes Multicultural Center. 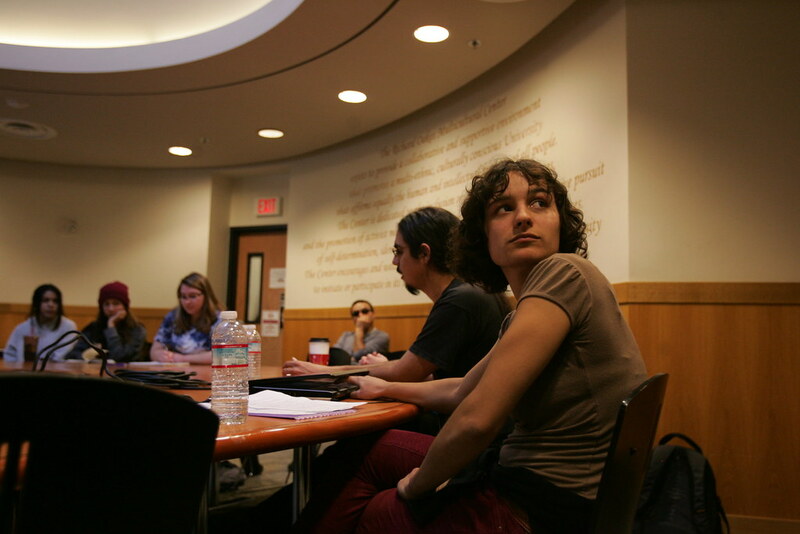 The San Francisco Student Union consists of both SF State and CCSF students and aims to incorporate local schools into their organization. They intended on utilizing the Chilean speaker’s experience at the event to demonstrate a new form of student unions. Members of the group said this event was crucial for the new group to introduce their aspirations for student activism on campus and eventually citywide. It also allowed the student union to show their interests in widespread issues, involving anything from campus workers rights, forming stronger connections to other student groups and ultimately reinforcing student’s voice within the university. During the speakers discussion, each of the activists gave detailed insight to their personal experiences throughout social organizations regarding various social issues like, educational deterioration, gender inequality and labor rights. They shared the history of radical social movements in Chile before and after the dictatorship of Augusto Pinochet in the early 90s. His reign was best characterized by years of systematic suppression of political parties and the persecution of dissidents. The free form discussion and sharing of ideas was one of the main goals the SF Student Union had for this event. SF Student Union is a part of California Student Union (CASU)–a statewide student union that encourages students from campuses across California to come together and democratically discuss and develop the movement toward student unionization. SF Student Union officially formed this semester and consists of only four members so far. A major change the group hopes to implement on campus is a more active and constant conversation among students of all organizations, not just when an issue is occurring. Their central objective with this group is to establish a place and organization for every group within this diverse community to come together, organize and have a larger voice on campus, according to group member Lea Volk. According to Cornell, with Chile’s success in organizing social movements and advocating for pressing issues across all ages in the recent years, SF Student Union felt having the speakers on campus would give great insight to how flourishing student activism groups operate. Due to immigration issues from traveling in and out of Chile and around the Country, the speakers’ did not want their last names published. “We (organizations) need to work together to achieve what we want, the ultimate goal is more important than any ideological thinking,” said Chilean activist Melissa. The student union hoped the momentum the Chilean speakers brought forth with their achievements of implementing and continuing successful student activism within their own schools would inspire other student activists to come together. Multiple student organizations showed their solidarity with the new student group and look forward to future collaborations.